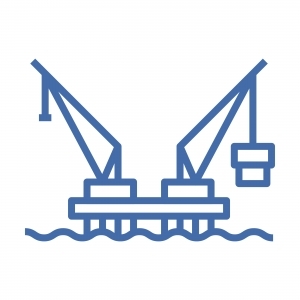 MDT International is a specialist independent training company serving the global oil and gas industry from our operational base in Aberdeen. With our creative, interactive and relevant courses, participants are engaged from the outset and ready to apply what they've learnt as soon as they're back at their desks. We deliver commercial training courses in most major established and emerging international oil and gas hubs. Our specialist commercial training builds capacity and delivers success for individuals and businesses working in global oil and gas. Would a better understanding of Decommissioning be a benefit to you and your business? Find out more about the range of Decommissioning training courses now available. Whether you're taking part in an open course, or benefiting from the customised experience of our in-house training, you know what you’ll learn from some of the sector’s most experienced and respected trainers is relevant to your industry, your region and your organisation. MDT International is a member of the CPD Certification Service, a leading independent institution providing accreditation compatible with global CPD principles. All our courses have been independently certified and participants will receive a personalised certificate upon completion. Our courses build commercial capacity and adopt a strategic approach that positively affects business performance and profit. MDT International will accelerate your oil and gas career by enhancing your skills, and equipping you to contribute to commercial success at work. Roll Up, Roll Up - Spot the Lawyer! "He who doesn't look ahead, remains behind"
The conversation doesn't end when the course finishes. Through our alumni initiative, we've created a dynamic environment so we can continue to engage with previous participants: offering an opportunity for people to build their own global industry network as well as seek ongoing guidance and support. Sign up for our course catalogue and receive regular email news updates.